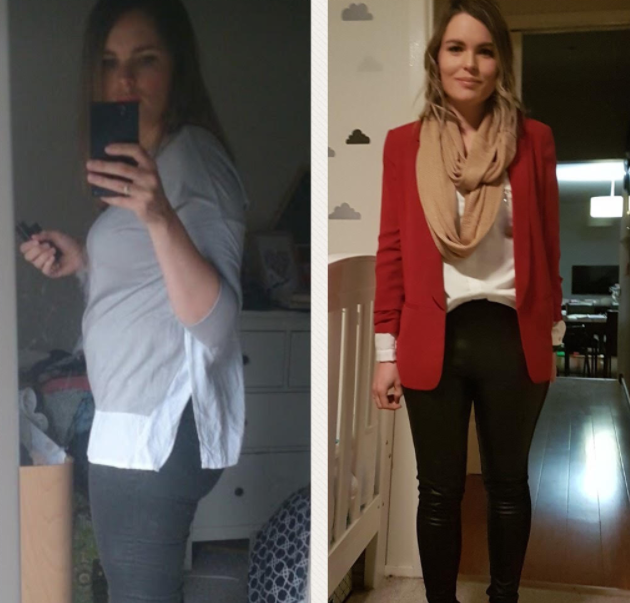 What this mum wishes she knew before she started her weight loss journey! 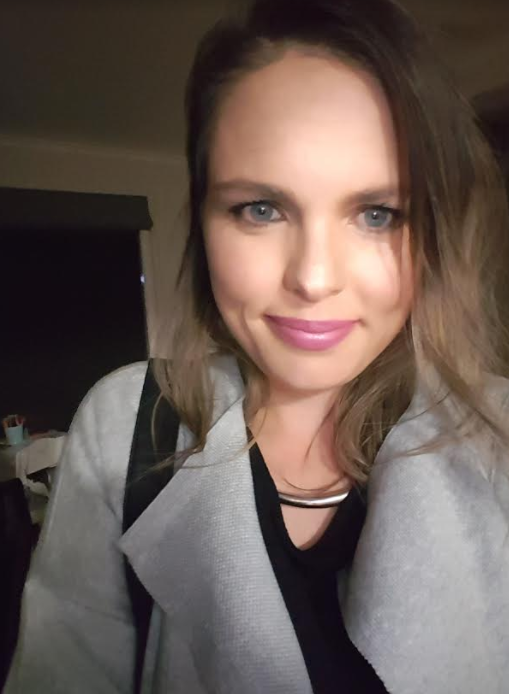 Cassie McKay first signed up for The Healthy Mummy 28 Day Weight Loss Challenge in January 2017 since then she has lost 10kg, kicked her sugar habit and has completely changed her mindset around food, exercise and health. 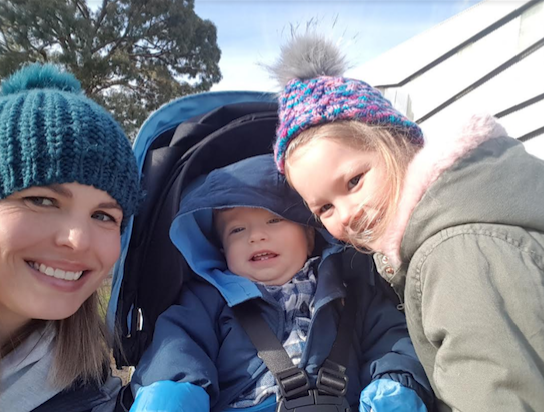 Since starting her 28 Day Weight Loss Challenge journey Cassie has learnt so many lessons, she shares four things she wishes she knew before starting her journey to inspire other mums to start their journey TODAY. She says, “Things I wish I’d known two years ago. 1. You don’t have to be great to start, but you do have to start to be great. I put off starting because I wanted to jump in and follow the 28 Day Weight Loss Challenge perfectly and was so afraid I would fail… but I now know that small, slow and steady changes are the best way to go. 2. You WILL fall off the wagon at some point (at many points! )… and it is totally OK! When you think you have failed, you haven’t. You’ve simply lost your way. As long as you keep trying, there is no failing. The more times you fall, the easier it becomes to get back on track. 3. It is OK to ask for help. 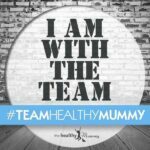 The Healthy Mummy community is here to help! Use the community to help when you’re having a hard time and to cheer you on when you are doing well. Use it!! 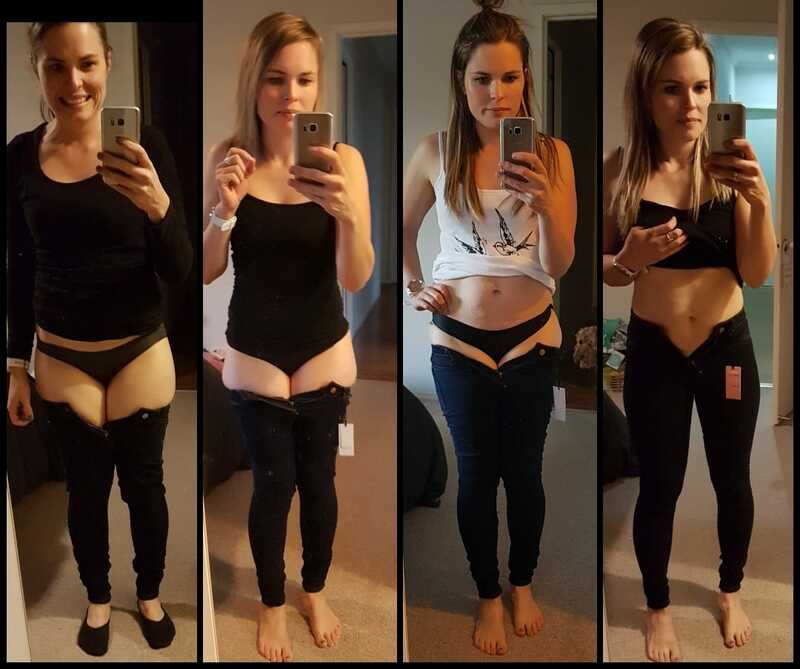 Showing just how much progress can be made in one month Cassie documented how she went from not being able to do up her jeans to them fitting like a glove, and even she was surprised that it was all in just one month. “A lot can be achieved in just one month- take me and my goals jeans as an example. I thought these jeans would take months to get on… it seemed like an impossible task. But it wasn’t! There are FOUR weeks between the first and last photo! Did you have a goal you wanted to reach before summer? Cassie is here to assure you it’s not too late! “There is only ONE MONTH LEFT UNTIL SUMMER! This is not a drill! This is really happening! 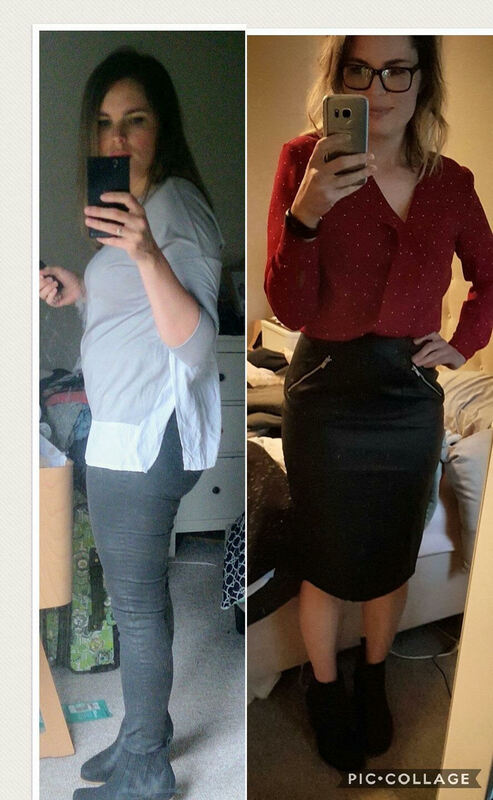 When we checked in with her at the end of the month, she didn’t quite hit those goals but she wasn’t put off, she persisted. Saying at the end of the month, “My aims this month were to maintain my weight and tone my tummy. “Life threw me a curve ball mid-month and injuries meant I couldn’t exercise as I wanted to. How awesome is that? Life can certainly get in the way of our ‘goals’ – but instead of giving up – it’s about trying something else, reassessing your mission. Such an inspiration for anyone wanting to not only lose weight but hit any goal. So how did Cassie get here? 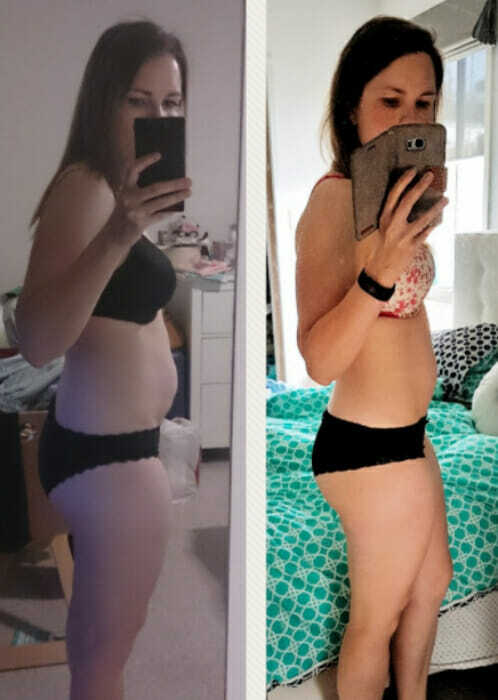 Read her full weight loss journey below. Before she joined up for the 28 Day Weight Loss Challenge Cassie was addicted to sweet treats sometimes eating up to three ice creams a day. When she came back from maternity leave after having her first baby, Cassie spent most days wearing baggy trackies, so she didn’t realise what size she was. But then a friend started their Healthy Mummy journey which made Cassie curious. 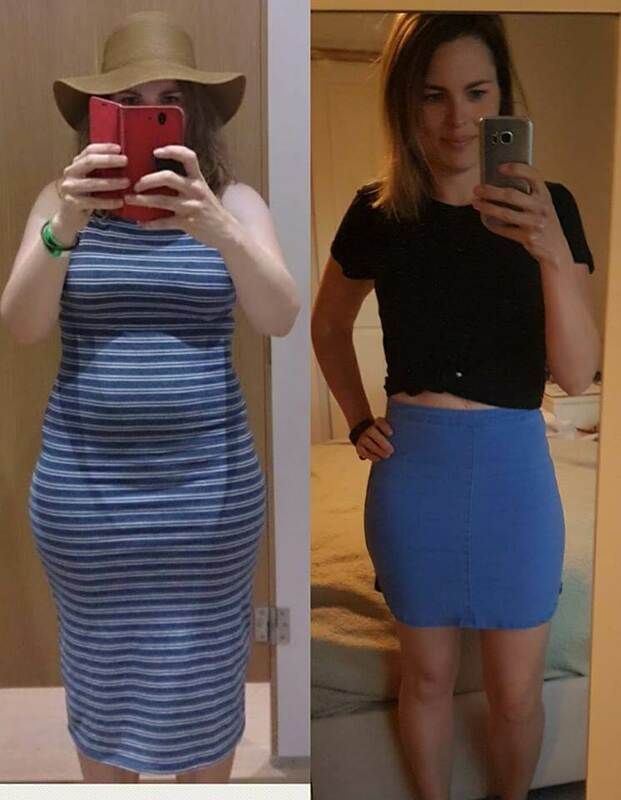 “A friend of mine signed up to the 28 Day Weight Loss Challenge and while I was keen to join, but I wasn’t sure if I wanted to give up my daily (sometimes three a day) ice-cream habit, but I knew I couldn’t live like I was on holiday forever,” she says. Cassie reveals the ice creams she was consuming would have around 20g of sugar in them – that’s 60g a day on just snacks. “I snacked on chocolate too, but if there were lollies in the house I would eat them too,” she admits. Cassie says she would regularly go out for coffee and would always have a slice of cake. “Whatever sweet was marked down or two for one at the supermarket would find its way into my trolley. I was an emotional eater and once I started on a binge it would be hard to stop,” she says. In January 2017, Cassie won a 30 Day Free Access Pass for the 28 Day Weight Loss Challenge. She says by the end of the first week – she was hooked! 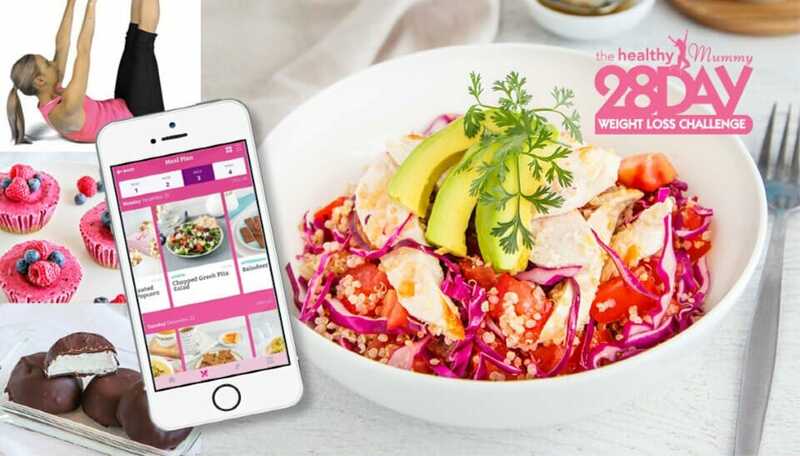 “The recipes are so easy to follow [on the 28 Day Weight Loss Challenge] and the food is delicious,” Cassie says. 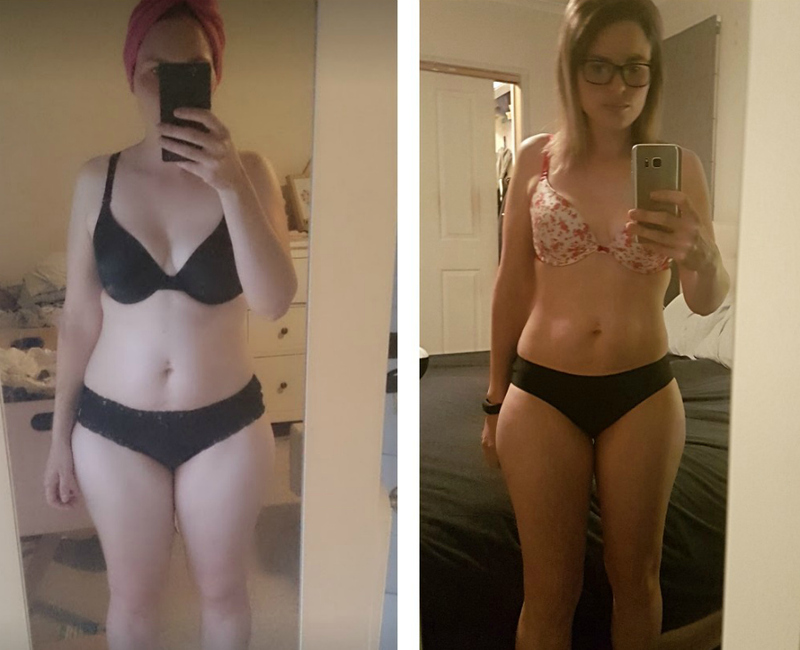 Cassie says before she felt bloated all the time and reveals that when she actually looked at the meal plans on the 28 Day Weight Loss Challenge she realised that nothing was off limits. She continues: “This was a major pull for me. I could have grains – I love bread and rice. I could have dairy, I could drink alcohol if I wanted. Sugars weren’t made out to be the devil, but there were healthy alternatives to my favourite sugary snacks on offer. 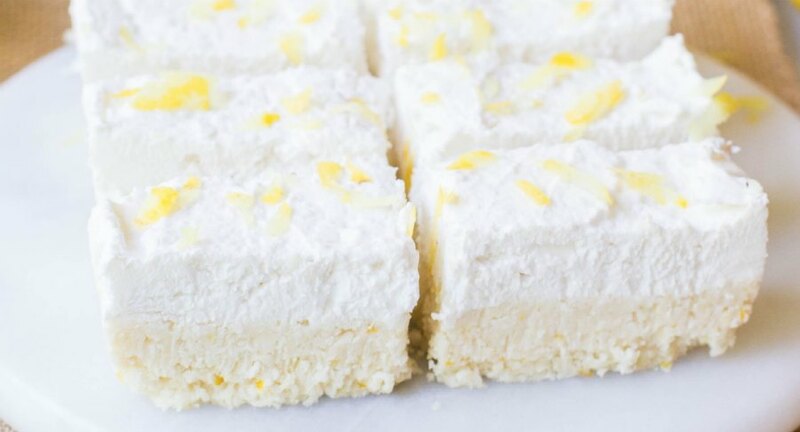 “I cut sugar out slowly by replacing with Healthy Mummy snacks. I probably overdid the snacks in the beginning but they got me through the first month without too much hassle. 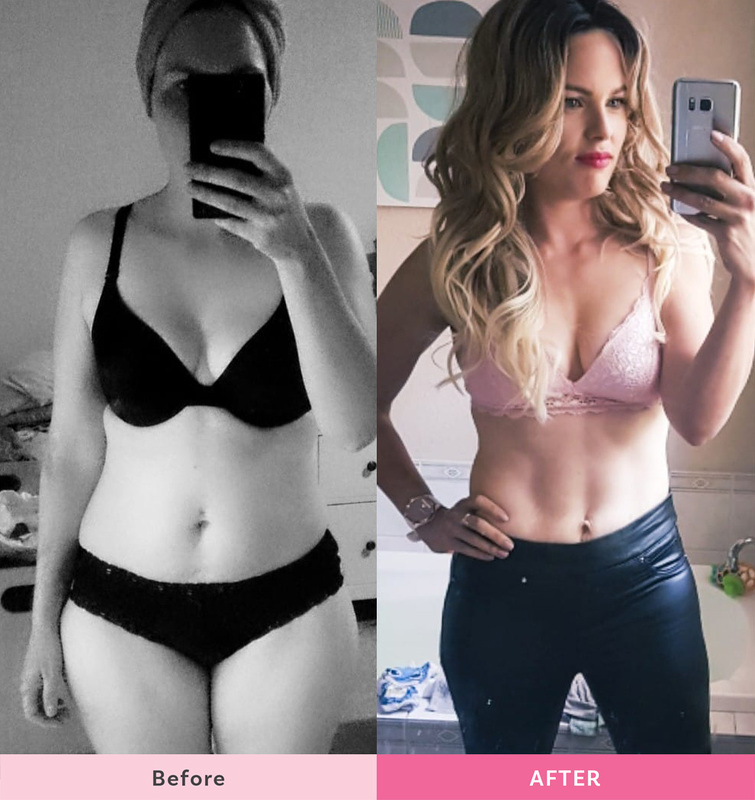 But Cassie reveals that coming off sugar wasn’t as difficult as she thought it would be – and her tummy is looking noticeably thinner since cutting back on sugar. “Knowing I could have whatever I wanted to eat within moderation, and not feel guilty about it made me not want to gorge on ice-cream every day,” she says. However a couple of weeks into the 28 Day Weight Loss Challenge, Cassie was informed that her son may have a rare metabolic disorder and needed further testing. Thankfully he didn’t, but due to her son’s other medical conditions, Cassie and family attended a lot of appointments. As a result of big and no doubt stressful days driving around, Cassie found herself buying takeaway a lot more than she had planned. “My son has a number of medical conditions and also seems to have a weak immune system. He has a shunt that drains fluid from his brain to his abdomen,” Cassie says. After a few more weeks and the medical appointments slowed down, Cassie was able to focus on her eating habits a little more. 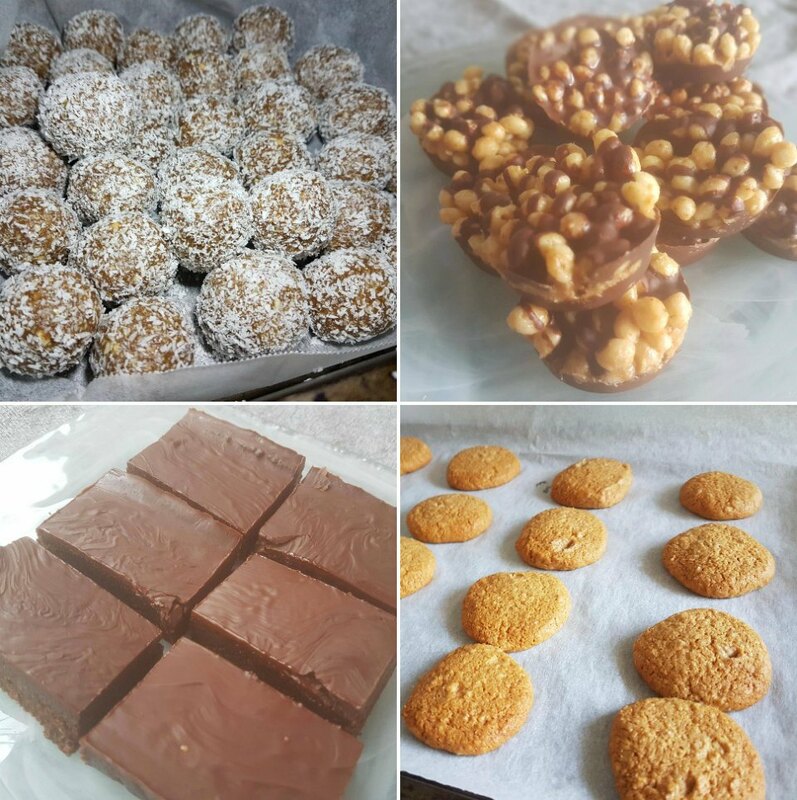 Cassie says she became a huge fan of the Peanut Bubble Crunch and Hedgehog Slice as well as the Cherry Ripe Slices, Bounty Balls, Snickers Slice, Twix Slice and Sneaky Snickers Smoothies. 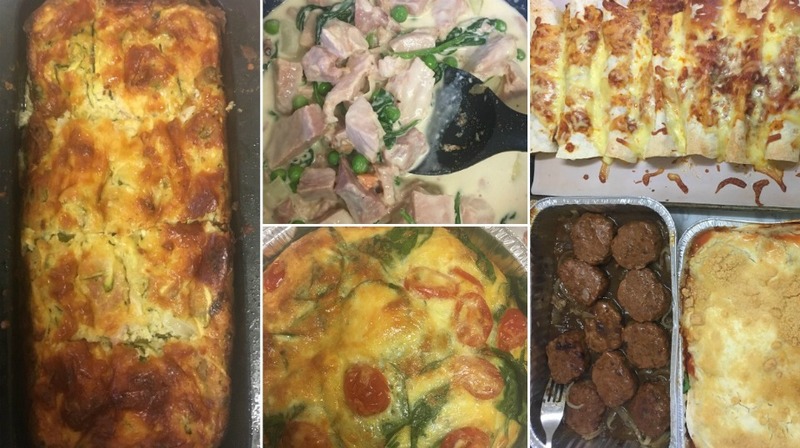 You can find these yummy recipes on our 28 Day Weight Loss Challenge. “Caramel would have to be my favourite smoothie flavour, followed VERY closely by Cookies & Cream and Banana,” says Cassie. 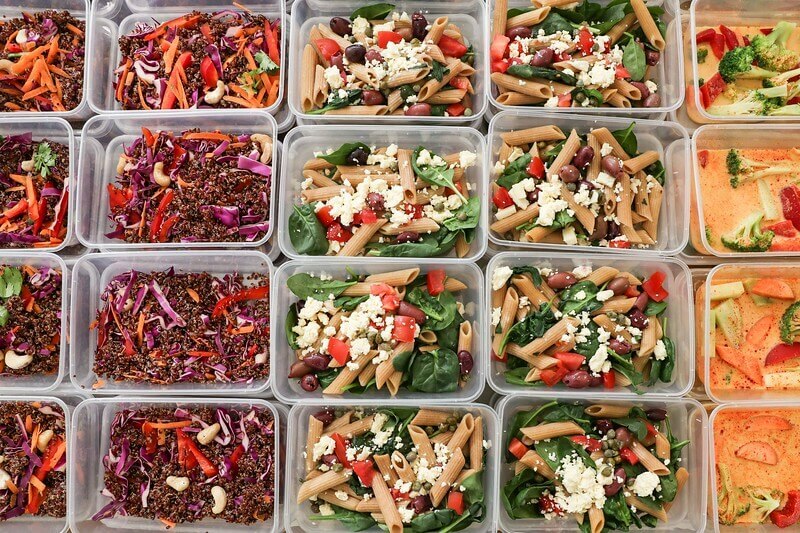 “The Challenges have taught me that simple is often best, so now my go-to snacks are veg sticks with hummus, boiled or curried eggs, greek yoghurt with fresh fruit, apple slices with almond butter, dark chocolate with green tea,” says Cassie. 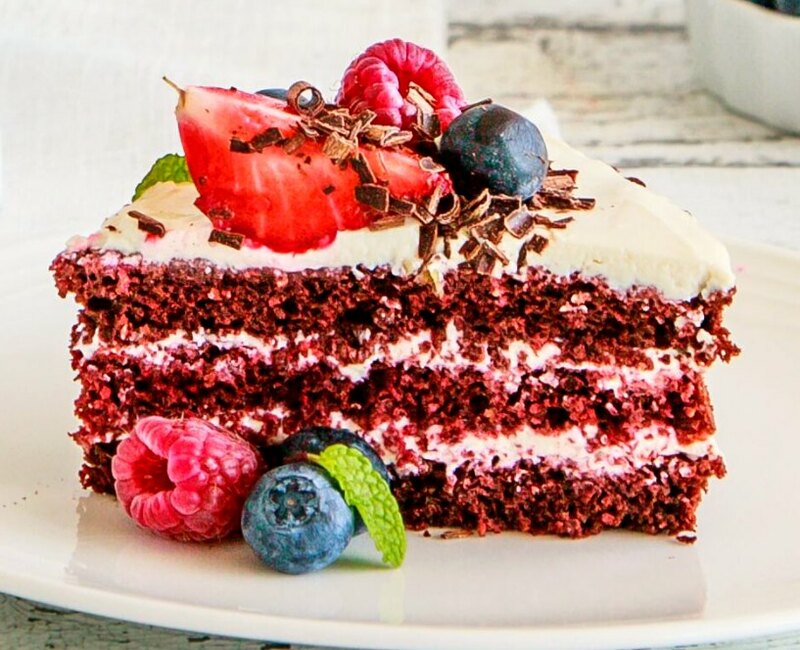 “My taste buds have adjusted so much that when I do have cake (because nothing is off limits) it is so sweet. I can only manage a small portion. I have even started eating vegetables that I previously disliked – eggplant, tomatoes… even Brussel sprouts!! And Cassie says she doesn’t eat as much ice cream as she used to! 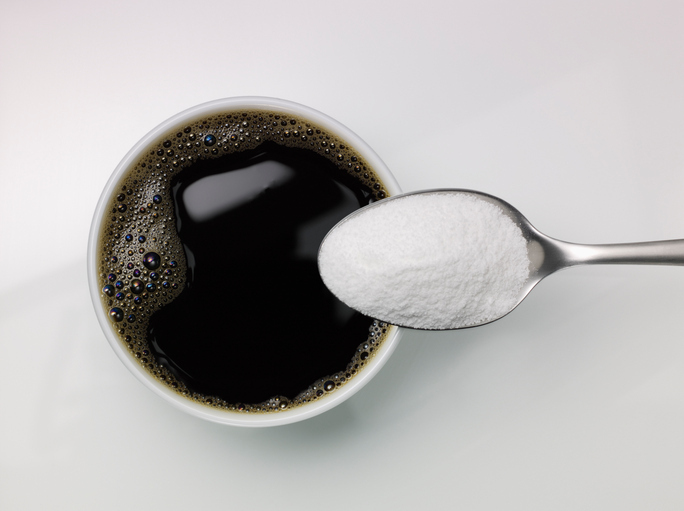 “I have cut sugars down quite slowly so have never felt as though I am missing out on anything,” she adds. The mum-of-two admits her core, glute and pelvic floor muscles were very weak since having a c-section in 2011 and hip surgery in 2012. You can find more amazing core and tummy exercises on our 28 Day Weight Loss Challenge App under the exercise hub. We also outline how you can perform these exercises CORRECTLY, and SAFELY. “I can’t wait to get some definition happening,” she says. “In the beginning, my setbacks really upset me, as I thought they meant I needed to start all over again,” she adds. But now, Cassie’s learnt that setbacks are merely a lesson to be learnt from. “I have learnt to focus on what I can do, rather than waste time worrying about things out of my control,” she says. Cassie exercises daily and makes sure she completes at least a few sets of pelvic floor exercises, glute bridges and squats. Make sure you make time for you! The photo on the left is Cassie on holiday in 2016 after she had vowed to lose weight before going away. Back then, she hadn’t. That’s when she decided to look after herself and join the 28 Day Weight Loss Challenge. 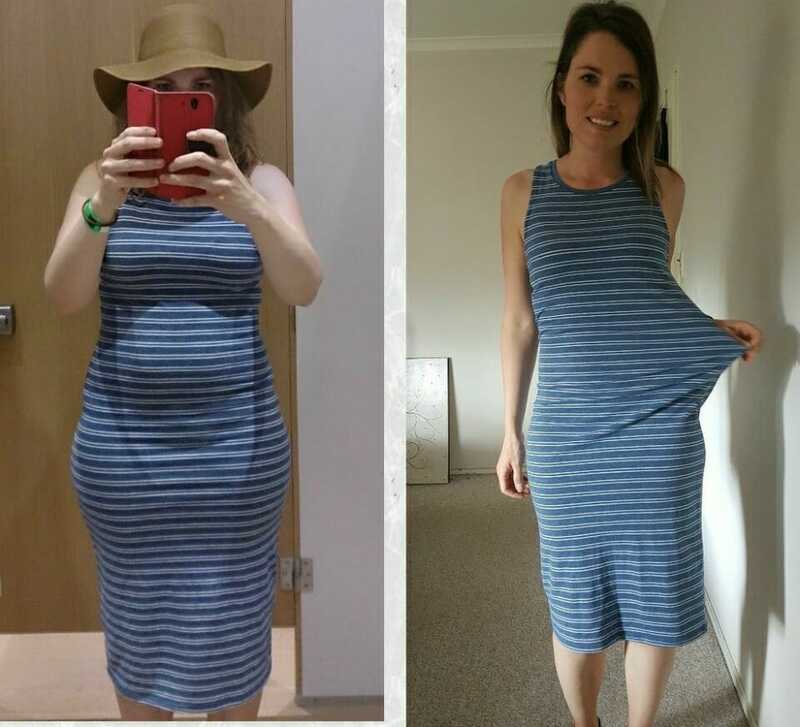 And nine and a half months later she had lost 10kgs and that dress looks pretty roomy! Making your health a priority is so important. 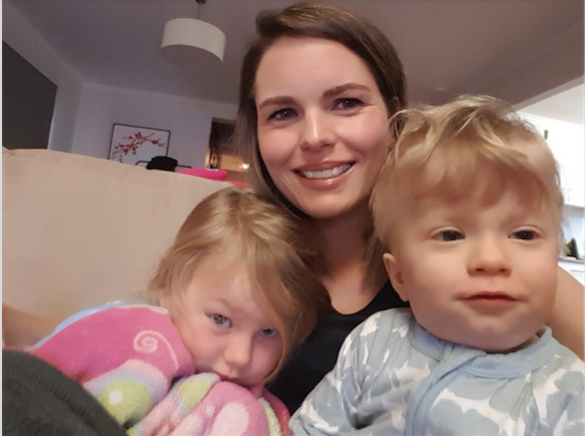 Cassie has learned to find time for herself and while life still gets a bit hectic for her as a busy mum, she says she’s blossomed by finding that time. So would Cassie recommend having some me-time? DEFINITELY! Cassie used to throw everything out at the end of the week, but now she uses all of her groceries and is spending next to nothing on takeaway. 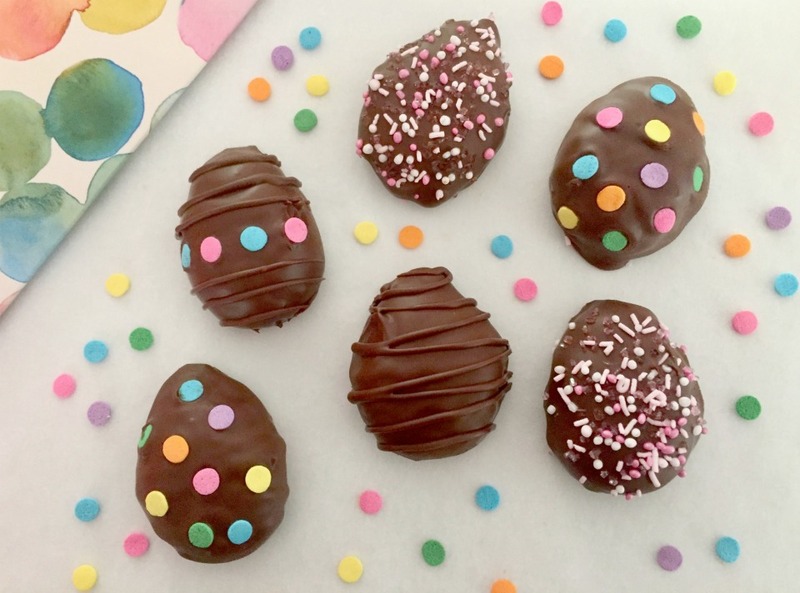 She also preps meals and snacks with similar ingredients, for example, she may do a day of bliss balls or a day of chicken based meals to save time and effort! One of her favourite snacks is the Choc Lava Mug Cake. 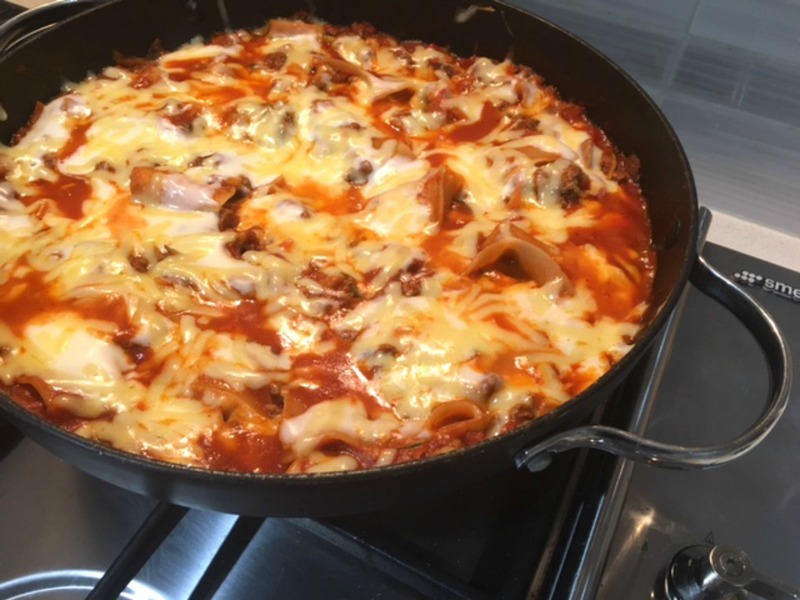 “I absolutely adore the Quick Chicken laksa for a quick Friday night meal and my fussy kids love the Cheesy Chicken Meatloaf (I hide grated carrot in it),” says Cassie. 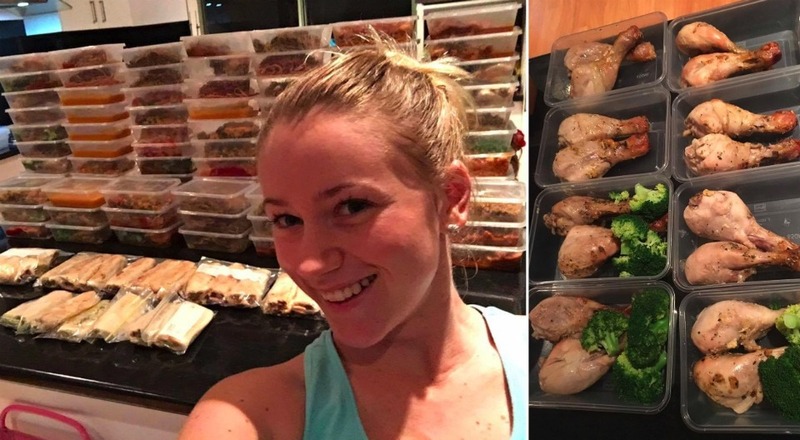 Check out this epic meal prep Cassie did! Reminding herself of why she first started this journey is also another way Cassie picks herself up. “If I give this up then I just go back to where I was, unhappy, eating out of control and gaining weight,” she said. 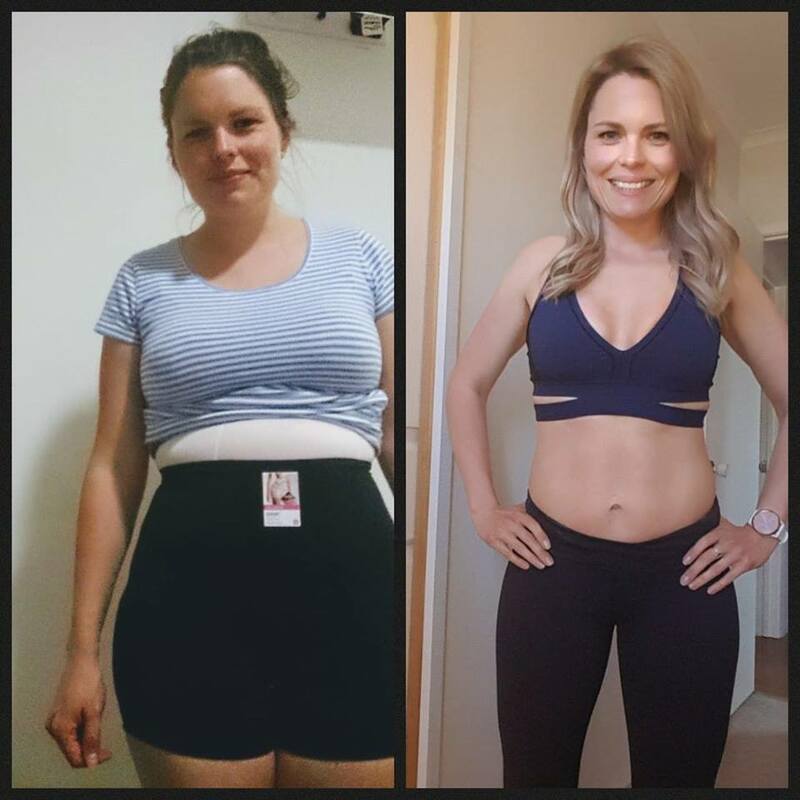 Sticking to something for this long is a big achievement to Cassie as she says she tends to jump from interest to interest but investing time into her health has definitely paid off. So much so that Cassie joined the Healthy Mummy Facebook Admin Team in 2018 and has been a Healthy Mummy Motivating Mum a few times, which she counts as a huge honour. 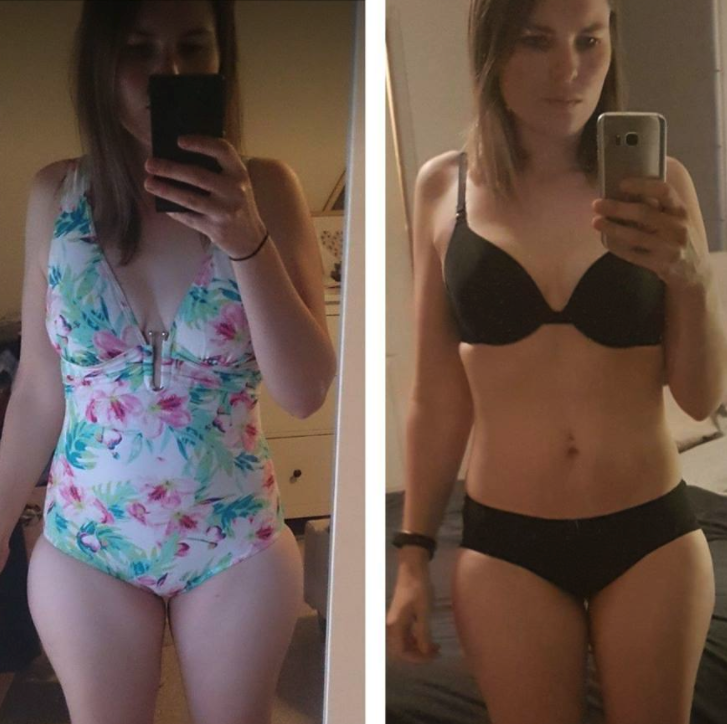 “I’m happy with my weight now, but I would love to tone and see some definition. Due to my joints, this is harder and will take me longer, but slow and steady will get me there,” Cassie says. 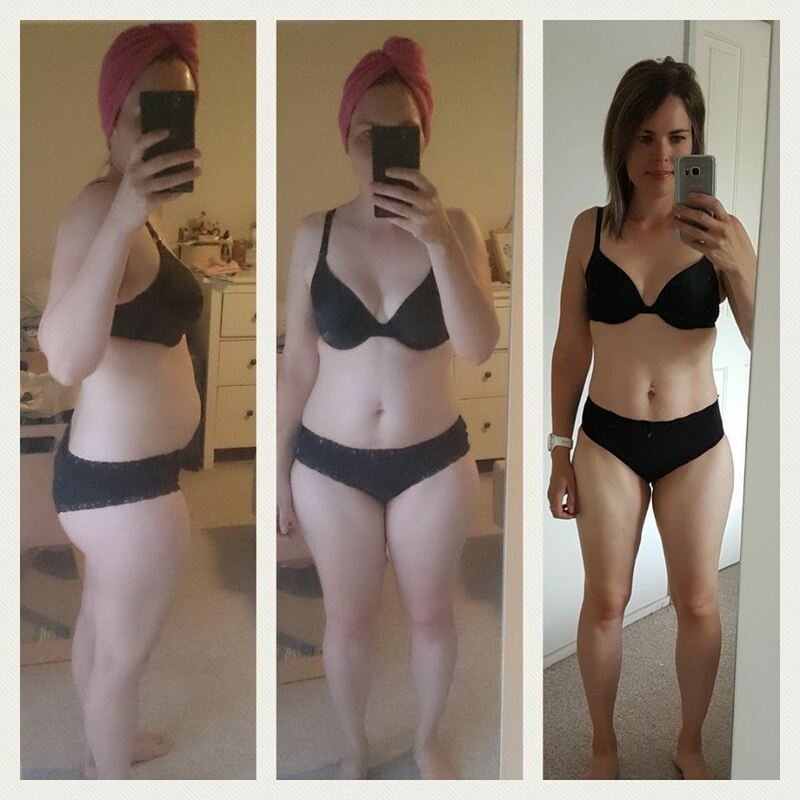 Cassie has come such a long way both inside and out and her happiness and health is obviously radiating so much so that her sister in law also joined The Healthy Mummy and is also having great success with the 28 Day Weight Loss Challenge. “Results taking longer than expected? It has taken me 22 months to get from A to B – with a goal to lose the last few kilos, strengthen and tone. It has taken a lot longer than I thought it would! 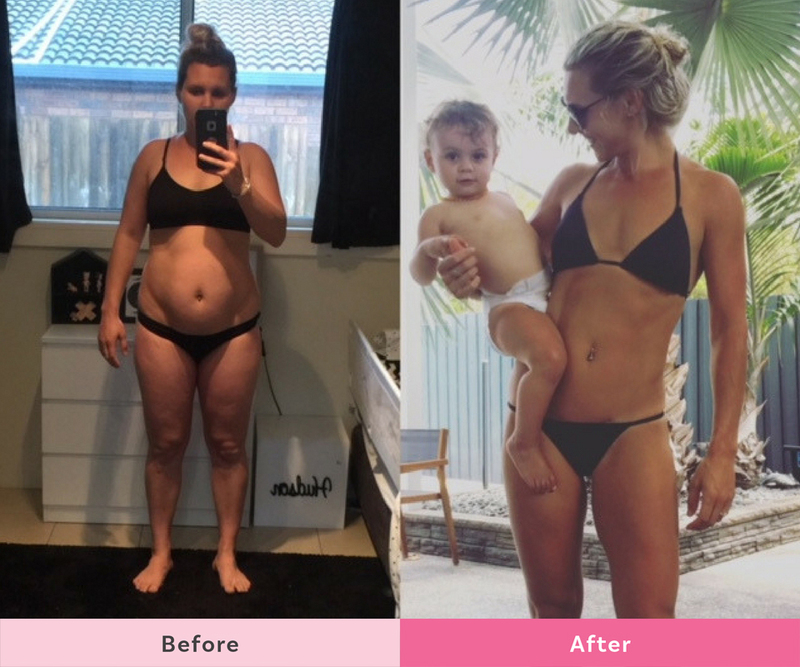 For me, my slow results mean I’ve taken time out for my family- missed workouts to cuddle my sick baby, going over my daily calories because the kids want ice cream, skipping meal prep for a day out with the family… and I don’t regret a single thing. It’s so easy to want to blink and be at the end of your weight loss journey. But I need time to slow down, not speed up! In July 2017 Cassie penned an open letter to herself about the importance of looking after herself in the hopes it would also inspire other mums who may have been struggling with their own journeys. “After neglecting myself for too long, I now eat well, exercise regularly, I dress up for no reason, and smile and laugh more than I did before,” she says. I see you, I have been you.. tirelessly working away, making sure everyone else in the family has clean clothes, a healthy diet, is taken to all of their appointments and activities. But at the end of the day, there is nothing left for you. Have you ever heard of the saying ‘you can’t pour from an empty cup?’ If you don’t look after yourself, how can you look after everyone and everything else? I hear you – there are only so many hours in the day, only so much money in the bank, but there is only one YOU. If you fall apart, then everything else falls apart. You need to know that it isn’t selfish to put yourself first. In fact, you’ll be doing everyone a favour. If you were at work you would be getting paid. It is impossible to put a money figure on the work you do for your family, so why not pay yourself in the form of some self-care? Whether you like it or not, your kids watch everything you do. By taking time out to do the small things for yourself, you are leading by example. You want your little ones to look after themselves, so the same applies to you. Eating healthier and being more active will have huge benefits for everyone. Research has shown time and time again that a healthy, balanced diet and moderate exercise has so many health benefits. Putting some care now may save you from needing to take time out due to illness or injury down the track.